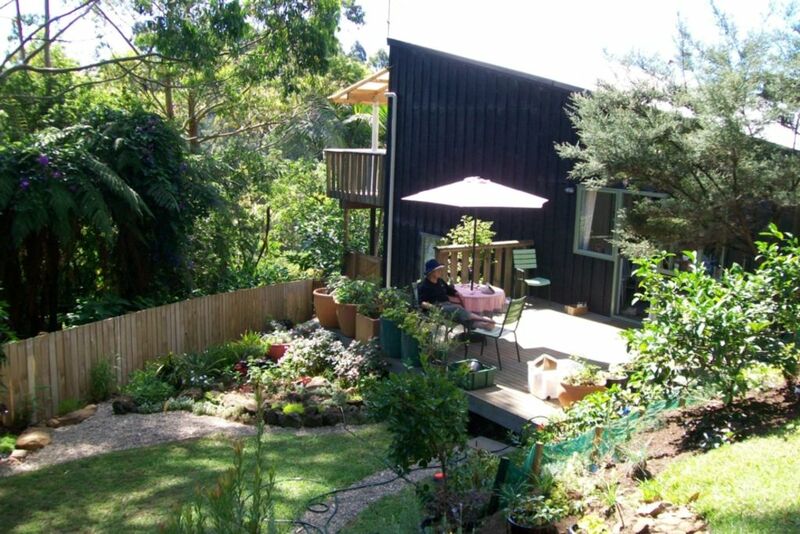 We offer comfortable rooms [1 double and 1 single] in modern 3 storey timber built townhouse with style and charm in a sub tropical valley only 10 mins walk from the shops and cafes of Kerikeri, the Far North's main centre . You can book either single, double, or both rooms for larger parties. Children welcome. Dogs okay if you let us know in advance. There are two garden decks one covered] to follow the sun through the day. Rooms heated in winter. All toiletries, linen and towels provided plus tea, coffee and milk. Free anytime use of kitchen / diner and laundry on self catering basis. Kerikeri offers an ideal location as a base for touring the Far North and the Bay of Islands some 15 kms away. Short drive to the Waitangi Treaty grounds and foot and car ferry terminal for Russell. Good local cinema and loads of vineyards to visit. Excellent Saturday and Sunday Farmer's Markets to enjoy. We don't provide a TV - why would you want one in this wonderful piece of sub tropical New Zealand !!. We live on the top floor of this 3 storey town house whilst guest rooms are on ground floor offering some privacy although we are always around to offer assistance and advice on the area. No loud music after 10pm - our neighbours are some way away but we like them !! We have a landline if your cellphone fails !! Only in mid winter as these are the sub tropics !! Back deck was a beautiful place to have a glass of wine and relax at the end of the day after sightseeing. Gardens make you feel like you are in a hide away far from the city while you are actually a quick 5 min walk from the main street. Rooms were clean and comfortable. Most importantly Ken and Helen were fun and engaging hosts. Clean tidy peaceful place to stay. Close to town centre. Very comfortable place to stay - had everything I needed. Nice and clean room and bathroom. Really enjoyed sitting out in the garden. Well located within easy walking distance to town. Very accommodating hosts. A convenient location for town centre, tidy room, with many comforts, quiet and relaxing. Many thanks Ken and Helen.